International Beverage Holdings is delighted to unveil the first release of the 2002 Vintage of Balblair Highland Single Malt Scotch Whisky. It replaces the 2001 as the most accessible Vintage in the core range. As with every current release of Balblair, this expression is non-chill-filtered, naturally coloured and bottled at 46%. Coupled with traditional production methods, this policy results in a single malt of rare quality. Balblair 2002 is sparkling gold in colour. The nose features signature Balblair aromas; it is floral and fragrant with zesty citrus fruit, specifically orange and lemon. Maturation in American oak, ex-bourbon barrels has imparted toffee and vanilla notes. On the palate it is full-bodied yet sweet and spicy in character with notes of orange, lemon, green apple, toffee and vanilla. The finish is typically long; the floral and fruit notes develop and combine with the initial spice and sweetness from the American oak casks. 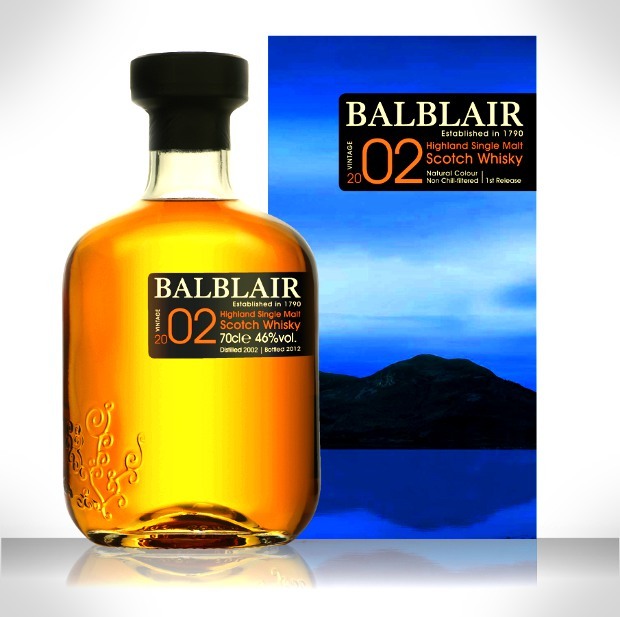 Balblair 2002 Vintage is available at £40.00 in key markets (France, Russia, UK and USA). Many thanks to Marcin for the invite and a top draw evening around London. We are pleased to recommend this whisky not based on favors but on that actual quality and taste.